We produce very movable and expressive puppets - for all those who want to perform with a professional figure. An easily manageable control bar and ingenious joint technology allow the puppets to have surprisingly natural movements. We offer a variety of puppets with different characters - a random selection. We can produce a figure according to your wishes and theatre requirements. Through a personal conversation, we can determine which role the figure should fill, how it should appear, and which movement options it should have. Every figure is carefully packaged in a nice and practical felt transportation bag. 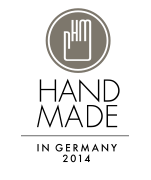 Comprehensive handling instructions are included in German and English. If you are interested in one or more of the pieces, please contact us via email. We would then inform you about the prices and delivery dates of the desired puppet(s). This new puppet book is an illustrated book, a non-fiction book, a text book, and also a story book. 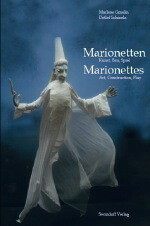 It tells about the puppet as an artistic and a playable figure – how it comes into being and how it moves. The cloth figures have no skeleton – the body consists of a piece of silk. This enables wonderfully soft movements. And you hardly need to practice to perform. 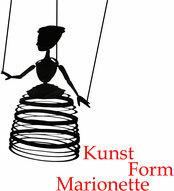 We offer human marionettes in different types and characters. Sometimes we simply want to know what a specific figure looks like, for example the Hatter from "Alice in Wonderland". And then we make him. Or we are fascinated with a story and relate to the protagonists. Nearly every puppet producer wants to have artistes perform in the circus once in a life time. This is how clowns and acrobats emerge. A speciality of Pendel is the production of animal puppets. Every kind of animal is unique and moves differently from others. We will explore the structure of the puppet with the help of books on anatomy and try to match the specific movement characteristics.